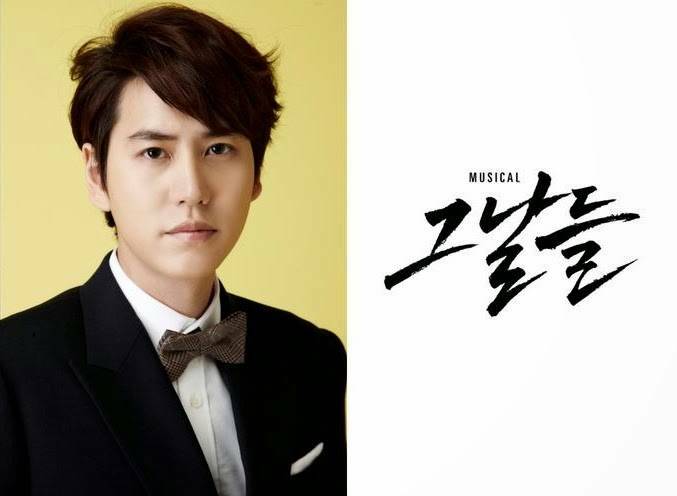 Super Junior's Kyuhyun has been cast in his third musical 'The Days'! Kyuhyun has played lead roles in the musicals 'The Moon that Embraces the Sun' and 'Singin' in the Rain' just this year alone. 'The Days' producing agency Insight Entertainment stated on August 27, "Super Junior's Kyuhyun, who has been continually showing his growth as a musical actor, has been confirmed as part of the cast." In 'The Days', he'll be playing the character Mooyeong, a witty and free-spirited security guard for Blue House as well as friend of Jeong Hak. Yoo Jun Sang, Lee Gun Myung, Choi Jae Woong, and Kang Tae Eul are set to play Jeong Hak, while Kyuhyun, Kim Seung Dae, Oh Jeong Hyuk, and Ji Chang Wook will be playing Mooyeong. The musical opens on October 21!